The Griff male is a wonderful companion in the home, woods, and with the family anywhere they go. 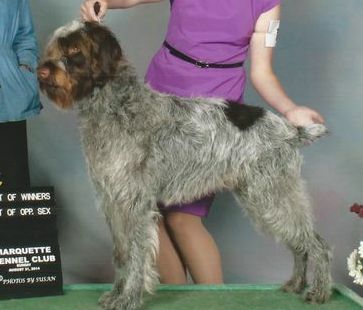 Bosco is a wonderful male who has his JH title and has his NAVHDA Utility 1 title. 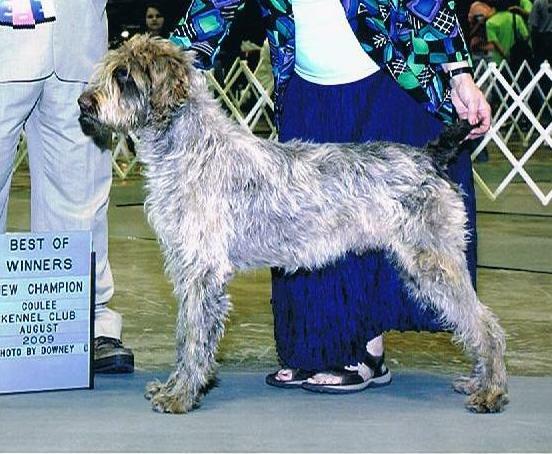 Not only did Bosco hunt, he was the correct size in conformation for the breed. 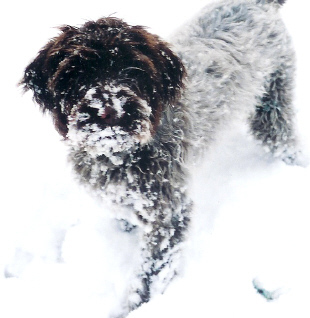 With his natural instincts, willingness to please, he was just an all around great dog to live with. 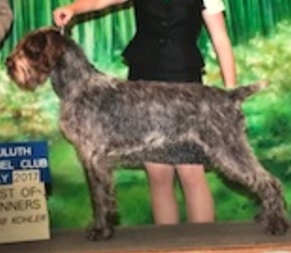 Toq is now a GCH AKC/CKC champion since August of 2009 and is now currently working on his JH title. 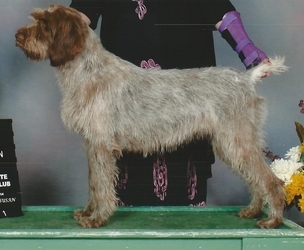 Toq is a great hunter, show dog, and companion for the family. 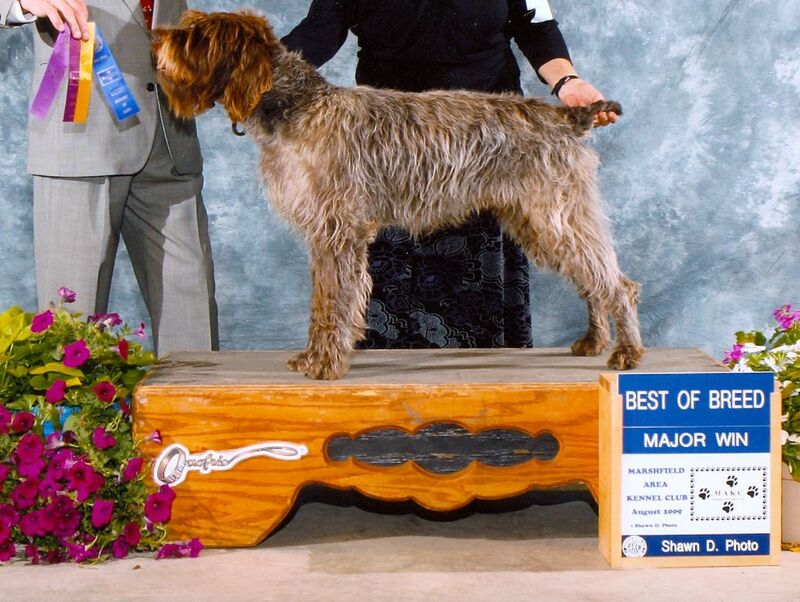 Bud is an AKC and Canadian champion .